Publisher : Do Life Right, Inc. 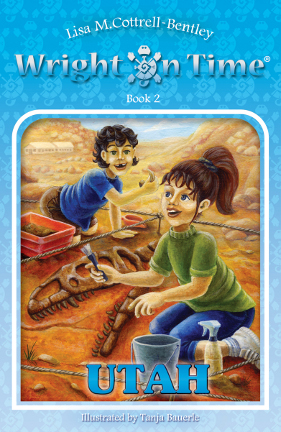 Announcing Book #1 in the first series about a homeschooling family. The Wrights travel the USA in an RV. Each month brings them to a new state with a new educational theme to explore and play with. They prove that learning can happen all the time, anywhere, and that being with family is fun! Meet Aidan, age 7: Boisterous and joking all the time, this sporty boy knows how to have fun! Meet Nadia, age 11: Curious and fiery, this intellectual girl can always find out answers to even the most difficult questions. Meet their parents: Harrison, a writer and linguist expert, and Stephanie, a telecommuting computer expert; ready to adventure with their children. Meet Prince Pumpkin III, turtle extraordinaire: This 50 year old little guy is holding on tight, as the family RV and a mysterious device take him on an adventure no turtle has ever gone on before. 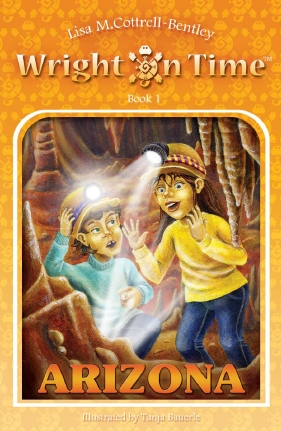 Explore an Arizona desert cave with the Wrights as they begin their trip in Wright on Time: ARIZONA, Book 1, coming out in late July 2009. What will Aidan and Nadia discover? This series is right on time for kids looking to explore the USA! 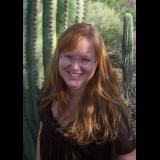 Wright on Time: ARIZONA is an exciting adventure from beginning to end. Through travel and exploration of their world, the Wright Family live a life of freedom on the road and are passionate about learning in all that they do. I love how this book approaches homeschooling as a common, valid option. The love, respect and connection that the family shares is deeply touching as they support one another throughout their expedition. At last! A beautifully written series of chapter books about a homeschooling family traveling together. The respectful communication and love in the Wright family while on a fun mystery trip around the US will echo what young readers and caring parents really know is true; Families can be fun! My 10 year old loved it and is ready for the next one! What a great joy it was to accompany the Wright family on their first adventure in the caves of Arizona. I was both on the edge of my seat at home ~deeply interested and often in suspense~ and right there in Arizona with them, as they joyfully excavated their gems, minerals and their own passions. With this delightful book, Lisa has created a family that is interesting to the reader because they are interested in the world. She has created a family that is a pleasure to be around because they are respectful to one another and of each other’s individuality. I think that Wright on Time: ARIZONA is a beautiful example of how real learning is for everyone of every age…and how it can be found right there in the joyful living. - Anne Ohman, Mother of two always unschooled teenage boys, Founder/Owner of the Shine with Unschooling on-line community, Creator & Director of a respectful and celebratory parent/child library program, Inspirational Conference Speaker and Published Writer, currently completing two books-in-progress. What a great book to get the whole family excited about adventuring together. This engaging story has me looking forward to planning a spelunking trip of my own and sharing it with my family.